Three artists with a different visual language present their work at the "Amor vacui" («Love for the void») exhibition, which is being launched at the i-D ProjectArt on Thursday, 24 January. The artists are Gerasimos Avlamis, Eleni Ginosatis and Constantinos Patsios, who each deal in their own way with the notion of a vacuum or a non-vacuum in art. Maria Xanthakos and Louiza Karapidaki are the curators of the exhibition. The abstract approach to painting is a common element in the work of the three artists. 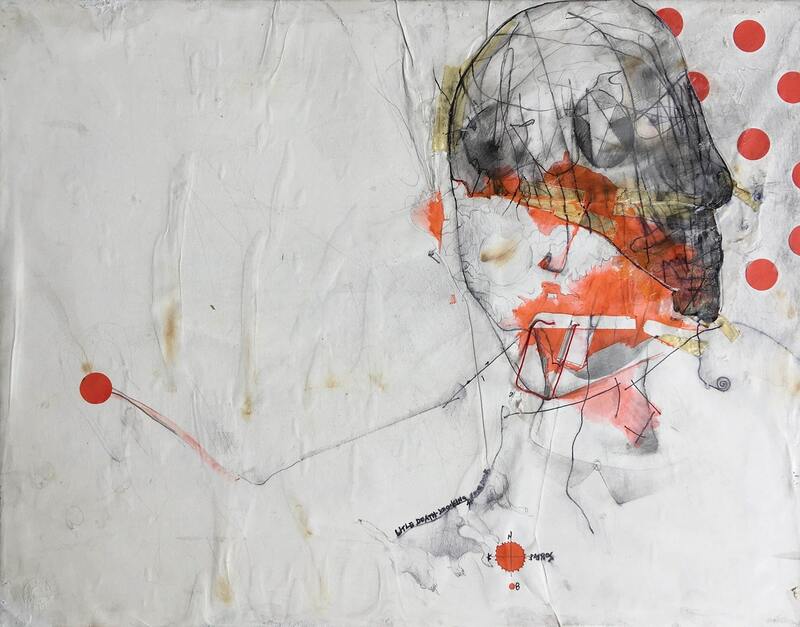 The work of Gerasimos Avlamis has obvious minimalist elements and is inspired by the city. He is involved with graffiti and street art and his work is deeply influenced by these artistic genres. 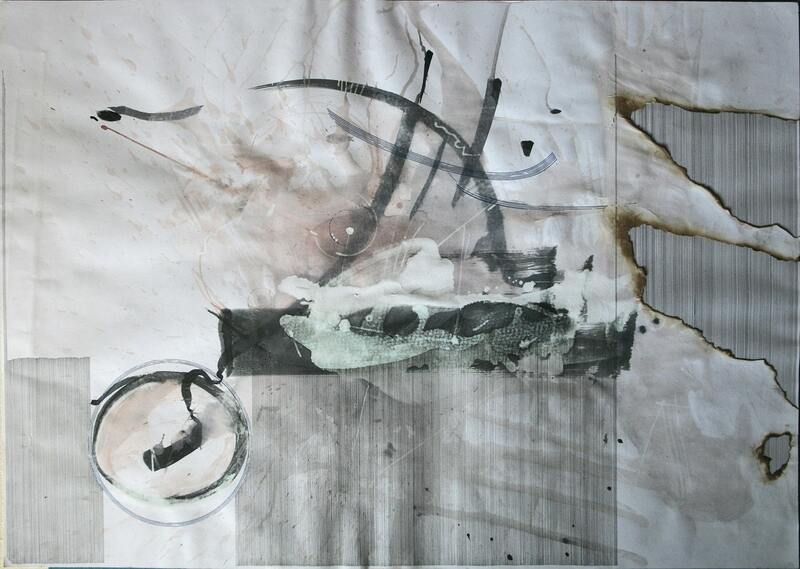 "In my work there is a relation of density and thinness ", Gerasimos Avlamis states. "The opposition between void-full has an intense character. I often use lines and symbols, lots of layers of white, subtracting from street culture its pluralist, ethnic disposition. The pieces have a linear character and are two-dimensional, as they aim not to cause illusions to the spectators and have as much as possible an abstract substance, in order not to guide them but release them in a contemporary social observation of art. " In the gestural work of Eleni Ginosati the intensity of color is more visible but the reason is always the empty surface of the colored fabric she meets. "In my pieces I depict the reality of the society surrounding us, divided, dispersed, strange. Upon the canvas forms and gestures do not respond to real images-symbols the human mind is used to discern, but inventions of the moment", Eleni Ginosati notes. "I paint on large surfaces using intense oppositions, tensions, fluctuations, writing-erasing, mistakes-corrections. My painting functions many times as salvation-solution, escape to unsolved problems and social issues." 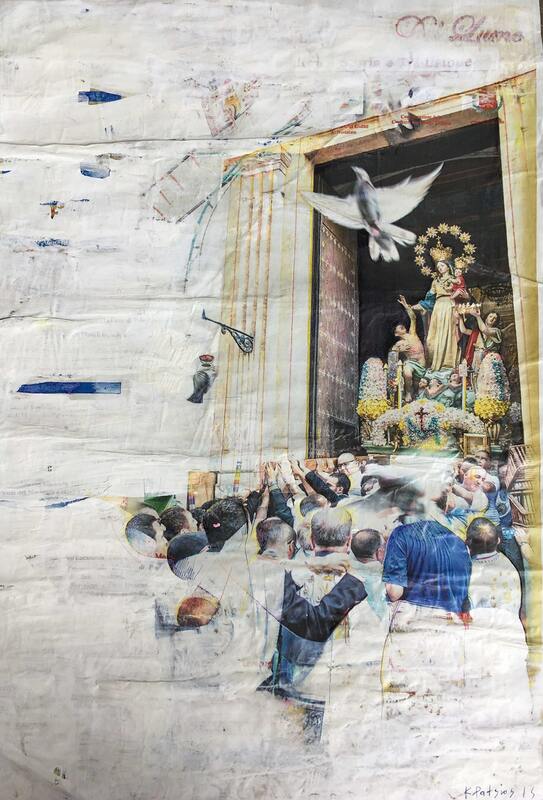 Constantinos Patsios presents his paper collage works. In his pieces the love for the void is juxtaposed against the horror for the void- horror vacui. "My work is inspired by the "skin" of the city, by the posters on the walls and it contains the corrosion of their elements. It is something between a personal diary and a city diary", the artist tells us. "These are concise works with some graphic elements, intense oppositions between empty and full surfaces where gesture and shape have the first word and not the visual narrative. I am very interested in taking something and transforming it, giving it a new dimension", he concludes. Constantinos Patsios, La Casa de Papel.